If you've been looking for the right place to wine and dine that special someone, we may have just the ticket. We've picked out some of Glasgow's top dining destinations to woo your date with good food and drink. A fine-dining first for Dennistoun, dishing up inventive takes on Scottish flavours in a 19th-century townhouse. Upmarket fine-dining restaurant with Chef Maule and his team serving classic French food in suitably formal environs. 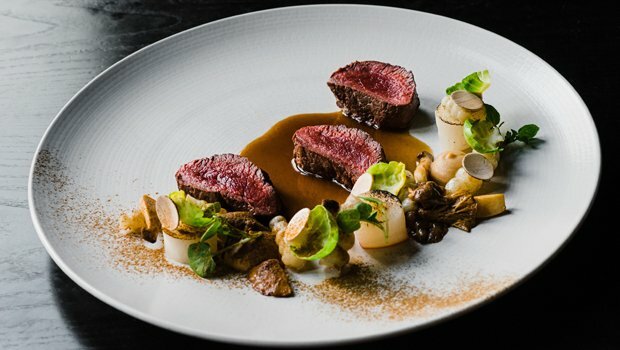 Luxury dining from the Dakota group in this city centre hotel's restaurant and bar, with steaks and seasonal dishes. A grand townhouse hotel with bags of style and top-end dining – a real special-occasion venue. A culinary heavy-hitter serving authentic Punjabi cuisine in its charming Finnieston venue, with an emphasis on quality cooking. Wood-panelled, plushly carpeted restaurant with nigh perfect service, relaxed vibe and sophisticated yet affordable menu. High quality, big hitter of an Indian restaurant serving a fusion of Punjabi and British cuisine and living up to its well-earned reputation as one of the best. Traditional Scottish cuisine focused on seafood cooked with French flair, in an old-school Highland dining room setting. Luxury dining from the Dakota group in this city centre hotel's restaurant and bar, with seafoods and steaks, elegance and decadence.